It's a good series, but it's probably better to binge read it rather than to doing it chapter by chapter. It often switches over to exposition and slice of life filler, but the plot is definitely there, and the storyline continues to progress. Still, there are several points where I scrolled through half a chapter of ignorable paragraphs. Volume 6, despite having the most slice of life filler, has actually been one of my favorites so far, and is certainly the funniest. The magic system is generically RPG-like and needlessly overcomplicated, but... more>> the rest of the worldbuilding is solid enough to maintain the suspension of disbelief. Things actually happen in the background. Sometimes they become plot relevant and sometimes they don't, but all of it helps to make the world feel more alive. Not many characters get any real development, but they do at least get detail. The chapters often change the point of view, and give you a good insight into how everyone thinks and why they are the way they are. I really like that the characters aren't a bunch of dense braindead idiots. The author does a great job of showing that the characters are self aware, and actually thinking about their choices. I'm really enjoying this one so far. I get a little tired of "I reincarnated as the strongest [ noun or fantasy job title], but I decided to live leisurely by [inane hobby] instead." It's not that those stories are bad, but every once in a while I wonder if there's a support group for stressed out gods who have nervous breakdowns after screaming "I gave you a second chance, why can't you do your damn job!" for the six billionth time. This reincarnation is getting his sh*t done. He's a... more>> schemer, he's malevolent, and he's the new demon king, all without losing the polite smile you've come to expect from exdead expatriates of the Japanese persuasion. This novel is not bad, but I would not even classify it as a novel. The chapters released so far seem to summarize rather than describe what is happening in the story. This novel is surprisingly "convenient" even for normal Japanese web novels, things are way too easy. The characters are uninteresting and perfectly fall into the mc's plans no matter how stupid his plans are. This is some poor man's version of Dungeon's Defense without any scheming, descriptions, reactions, or realism. One day he announces he is the demon king... more>> then the next people are already lining up to be his subordinates even though he can barely afford potatoes. The beginning is interesting. The MC is portrayed as a composed person that can turn things around even when he find himself in an awful condition. He built a kingdom from a ruble, unite a whole continent and prove himself to be a competent leader. he went to the other continent where human resides to collect information. He act as an adventurer and became just another generic MC that's easily pushed around by others. Gave it five stars to keep the rating high so more people will be inclined to read. The short chapters take away from the novel, but overall it's the best interpretation of whole "summoned Demon King shtick" outside of Dungeon Defense. The start is interesting, but somehow it devolve into a merry-go-round of whatever the other people (who have absolutely nothing to do with mc) are doing. It got bored and an entire volume focusing on side-character is not a good reading material, especially considering its not even the side story after an epilogue. Not to mention all those forced coupling... Somehow I get this feeling that the author seriously have a delusion on how people actually fall in love. i like this one, at first I just want to read based on OP MC. But when I read it, I found this one interesting. There is so many mysteries in the story. And I found it amazing, because it's different from typical "another world" story. Undoubtedly my favorite novel. Main character is powerful yet unlike normal trash protagonists, he has a brain not pure brute strength. He actually has plans to follow. He doesn't gets pushed around like most JP leads. The main character will struggle though not to the extent where he needs plot armor to bail him. This helps create a good balance between being tension and rationality (you all know that many characters do stupid stuff which could've been avoided so that author can add action). This novel feels too vague, too loose. And the things that could be interesting end without being after a few... more>> lines. Of course this can still be read, as long as you do not expect anything. pdt:the protagonist is... well, I do not know how to define it. He is the typical antagonist who wants to give love to the world. Ok, no, but it's like a child sincerely, or a teenager, when you're supposed to be an adult before. Is it that when a reincarnation loses emotional intelligence? When did I miss that explanation? Ah, no, it turns out that the demon god created him from that human soul, therefore, he was never human, but he ends up confused by feelings that are only a defect, poor... it gives me a bit of pity (? I quite like this one. The story started from how the MC unify the continent to how he create plans againts human. But, don't expect any world building here, and don't expect a serious story that explain all things, because it's not kind of story, still, that what makes this good to read. This is a fast paced story on how our MC will act as a demon king with his subordinate. No need to explain every actions, no need to put too much detailed in everything. Simplicity is one of the... more>> characteristic of this novel even though it has a premise that should be in a too detailed writing. this is probably the best novel I dropped, well for those who came here to read the comments and decide if you will read than I my advice is give it a try. -it is a Kingdom building story but it does not tell you how the Kingdom was build. -there is girls that like the protagonist but there is no romance. ... more>> -there is action but no awesome fights until now. The world building is unexpectedly good and complex. The storyline however-it's a bit off. The start was weird, to say the least. The midpoint was decent. And the place I am at, It's getting a bit dull. Harem genre wasn't tagged before, but it is that genre to some extent. Not too too much, but it is a point in 3 characters. Low romance so far. 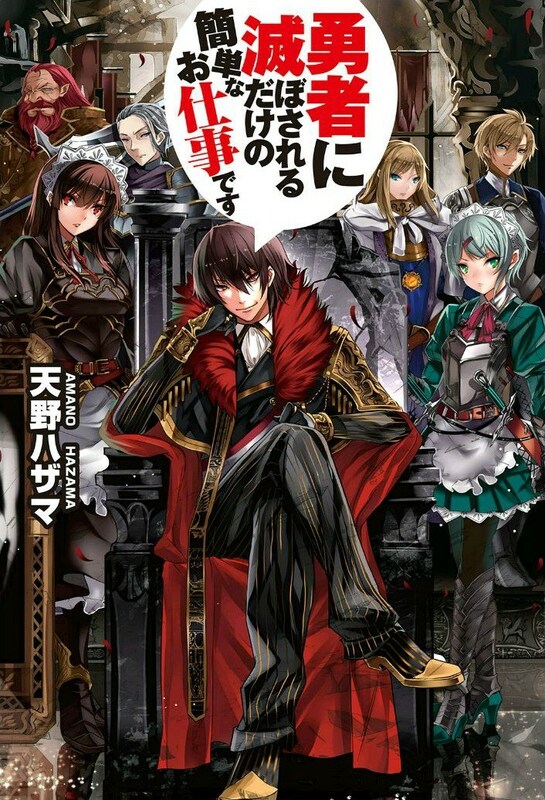 Edit: In the next chapters, Harem Genre is prominant. As a person who hates it, I ask why people didn't tag it before.